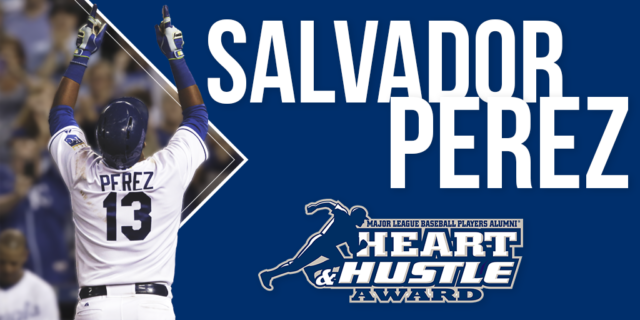 The Major League Baseball Players Alumni Association (MLBPAA) named Salvador Perez the winner of the 2018 Kansas City Royals Heart and Hustle Award. This esteemed award honors active players who demonstrate a passion for the game of baseball and best embody the values, spirit and traditions of the game. The Heart & Hustle Award is also the only award in Major League Baseball that is voted on by former players. 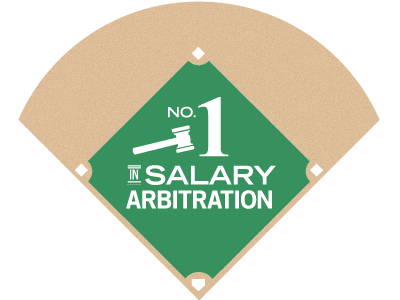 Voting is conducted prior to the All-Star Break. The overall winner will be announced Nov. 8, 2018, at the 19th annual Legends for Youth Dinner in New York City.